The beauty of Solar power is that it can be harnessed everywhere. It is environmentally friendly and cost-effective, and the single major advantage of solar energy is its location-independent availability. 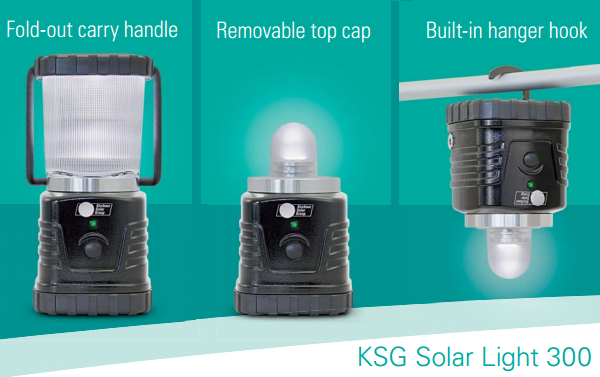 We have seen many solar light from various manufacturers (predominantly from China) but what set Kirchner Solar Group apart from the rest of the Asian manufacturers is the history and track record for quality solar products. 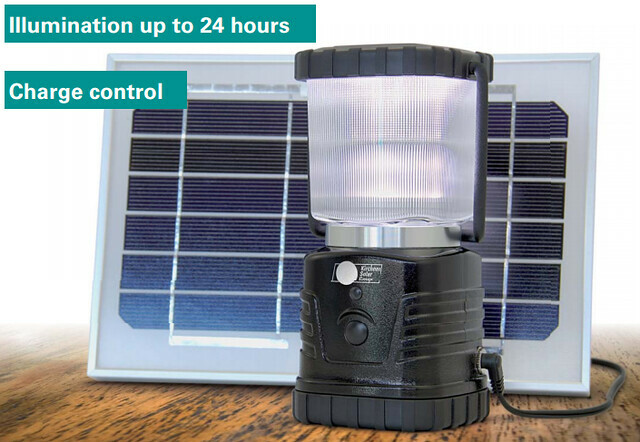 It has many off-grid solar power systems in its product range and one of them is the Solar Light 300. It is an energy saving rechargeable lamp with 300 lumens in brightness. The difference is that it does not require power supply mains to recharge; it comes with solar charger. As a guideline, a typical 40W incandescent bulb can have brightness of 275 to 400 lumens, depending on brand and colour temperature. So, you can think of this portable solar light along the same line. It is developed in particular for the energy requirement in structurally weak regions, however, it can be used in remote rural regions at any location if so desired. In comparison with diesel generators, kerosene lamps, paraffin lamps and similar energy or light sources, the Solar Light 300 surely protects the climate and health better. I'd like to have one for outings and camping trips. For further reading, visit Kirchner Solar Group. Thanks for finally writing about > "SolarLight-300 by Kirchner" < Loved it!